Brexit will directly or indirectly influence 65 million people in the UK, but it will fundamentally affect the lives of 4.7 million people: the 3.5 million European Union (EU) citizens in the UK and the 1.2 million Britons in the 27 EU countries. This is more than the population of 9 of the 28 countries in the EU, namely Malta, Luxemburg, Cyprus, Estonia, Latvia, Slovenia, Lithuania, Croatia and Ireland. There are a lot of lives a stake. In fact, the numbers involved are much larger. For example, I am a Briton in Germany but my family are German, so do not count among the 4.7 million. There will be many cases of mixed nationalities, so the true number of lives affected is higher. 4.7+ million is a statistic. People´s families, hopes and futures are not. Brexit puts lives at stake. These people migrated to the UK/EU in good faith. There are four fundamental rights at the heart of the EU. 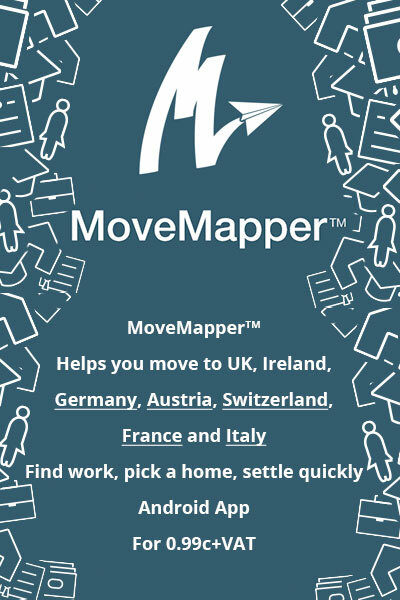 Of those, the freedom of movement of people to work, travel, study, retire, etc. anywhere within the 28 countries of the EU is fundamentally important. 4.7+ million EU/UK citizens migrated in good faith, created new lives for themselves and put down roots. In doing so, they automatically acquiring the same rights as their fellow citizens in the countries that they are living in. Is it fair and reasonable to simply cut-off 4.7+ million from all the rights and benefits that they are currently entitled to because of a margin of 2% of the eligible British voters decided that they “wanted their country back” and were willing to play fast and loose with the rights that the EU confers? Can we reasonably expect people to simply pack-up and “go home”? What about the uncertainty, stress and distress involved for them, some of whom have been informed by the Home Office to prepare to go home at the same time as it makes it as difficult and complicated as possible to apply for UK citizenship? We are talking about ordinary people who legally took-up their rights and who are now uncertain about their homes, jobs, education, pensions, health provision, families and indeed their futures. Small wonder then, that the EU has prioritised sorting out the future of these 4.7+ million people who are caught in the cross-fire of Britain´s decision to leave the EU supposedly in order to control their own border, laws and destiny. Only, it is not just its own destiny that is affected by Brexit. It is also the destiny of people who had no vote (both EU nationals in the UK and Britons like myself) and no say on their own future. A Conservative government called an unnecessary EU Referendum primarily in a calculated and cynical effort to save its political skin from the threat of the UK Independence Party (UKIP). Its gamble backfired, delivering political chaos and threatening the long-term economic decline of the UK. This humongous miscalculation has the potential to divide the Conservative party and consign it to the dustbin of history. It has already split the country asunder at multiple levels and a very uncertain future awaits the country as a result. The nationalities most affected are Britons (about 1.2 million) and Poles (about 900,000). Needless-to-say, it should be the UK´s absolute priority to regulate the situation of so many British lives living in EU countries ASAP. Only it is not. Theresa May and her merry band of Europhobic Brexiteers have chosen to play fast and loose with people´s lives. For over a year, they have made a point of perpetuating the uncertainties. They have chosen to play a coy game of waiting and seeing, using the lives of 4.7+ million people like so many pawns to be positioned and/or sacrificed in their callous and atrociously incompetent game of Brexit chess. Shameful is the word that readily springs to mind. Interestingly, Mr George Osborne, the former Chancellor of the Exchequer and now Editor of the Evening Standard, has just alleged that, in fact, the former Prime Minister, David Cameron, had tried to settle the issue of EU citizens’ rights unilaterally immediately after the EU Referendum. However, this was vetoed by one member of the cabinet. This person was none other than the ex-Home Secretary, as it enhanced her prospects of becoming Prime Minister. We are, of course, talking about none other than Mrs Theresa May. If true, this indicates that she thought nothing of toying with people´s lives in order to better position herself to become Prime Minister. The list of wooden, robotic, crude, calculating, incompetent and downright cruel decisions keeps growing. At some point, bad luck or circumstance can no longer account for the black marks. They cast an increasingly unflattering light on her past, present and future legacy as a politician, if not as a person. The official Brexit negotiations finally got going on the 19 June 2017, though the emphasis was on “talks about talks” and the UK´s wishful thinking was immediately exposed. On the 23 of June 2017, Mrs May travelled to an EU summit in Brussels and presented her opening offer on EU citizen rights, having let the issue hang for so long. What did she come-up with? Was it perhaps to do the simplest thing to put an end to the uncertainty for 4.7+ million lives by matching the EU offer? Not on your nelly. Why would the British government immediately end the uncertainties hanging over the future of 4.7+ million people, 25% of whom are Britons, in one fell swoop when it can continue to play politics with so many people´s lives? Our beloved Maybot chose instead to continue to play the immigration card and prolong the uncertainty for short term political gain: at least she is strong and stable in this respect. She presented her vision of a “fair and serious” offer to protect EU citizen rights by offering them a new “UK settled status” for EU migrants who had lived in the UK for five years with rights to stay and access health, education and other unspecified benefits, subject to the EU27 states guaranteeing Britons the same rights. Rather than determining whether these would also apply to dependents and setting the date at which the 5 years qualifying starts, she chose to be vague about this (sometime between March 2017, when Article 50 was triggered and March 2019, when the 2-year period of Brexit ends), thereby creating another source of uncertainty for many people who have been in the country for less than the qualifying period. Furthermore, she circumvented the EU´s position that EU citizens´ rights be enforceable by the European Court of Justice, which is a sticking point among Europhobes. This falls well short of the EU´s negotiating position which is basically that EU citizens living in the UK should retain all EU rights in perpetuity, with the same applying to Britons living in the EU27. This is a simple, transparent and fair position that people can relate to. This is what fair and serious looks like as compared a British government persisting in using EU citizen as bargaining chips in Brexit negotiations. The EU was quick to point out that EU summits are not the place to initiate negotiations. The British Prime Minister does not appear to understand that two teams have been selected with the mandate to negotiate the terms of Brexit. Various EU, German and French politicians have stressed that the so-called fair and serious offer was “below expectation”, but a “good start” even if “no breakthrough” and that “there was a long way to go.” In other words, the offer was not taken to be either fair or serious and crashed like a lead balloon. It could have been predicted, had Mrs May and the Europhobes not been so isolated and deluded. The official UK offer will be presented on 26 June 2017; we all await it with bated breath. What is so difficult about understanding that millions of people are fearing for their homes, families, livelihoods, education, health arrangements, pensions, etc.? Are you blind to the stress, frustration, disappointment, resentment and anger caused by the uncertainty? Are you incapable of feeling empathy for such people 12 months after the Brexit vote? 4.7+ million lives are not so many bargaining chips to be used to try to extract EU concessions. 4.7+ million lives call for adult politics and truly fair and serious solutions. Tomorrow, I expect my government to stop mucking about and sort it out. By that, I do not mean begrudging, half-hearted solutions but the real deal. We and our families are entitled for the rest of our lives to whatever rights existed before the EU Referendum unilaterally threatened to take them away from us. We entitled to no more and certainly no less. The 8th of June 2017 is a landmark that I shall always remember. Against all expectations, the British General Election delivered a hung Parliament as well as a bloody nose for the incumbent Conservative government. Their expectation of a 100+ majority in Parliament is in ruins and, with this unexpected development, the tide of history may have turned but it is far from clear. Perversely, it could well be that Brexit means Brexit has been superseded by Brexit means hard Brexit. Since the EU Referendum on 23 June 2016, the Conservative government under the leadership of Prime Minister Theresa May has been marching remorselessly towards “hard” Brexit. This means not just leaving the European Union (EU), as required by the referendum outcome, but also exiting the European Single Market, the European Customs Union and the European Court of Justice to boot. By contrast, keeping all three yet still exiting the EU would be “soft” Brexit and would carry the least amount of risk for the UK and the EU-27 countries. Although the option of hard Brexit was never part of the referendum (it was a straight “in” or “out” choice), this is exactly what a Conservative Government stuffed to the gills with Brexiteers such as Boris Johnson, David Davies, Liam Fox, etc. has been working towards. Mrs Theresa May, a former (albeit reluctant) Remainer, quickly became the conductor-in-chief of this process. A hard Brexit would have been difficult to achieve with a small majority in Parliament, so Mrs May decided to ask the country for a mandate for hard Brexit (having previously strenuously denied the need for another General Election), the terms of which was hardwired into the Conservative manifesto. The expectation among the political establishment and media pundits alike, was that the Conservative Party would increase its working majority from 13 to possible as many as 100-200, some predicting the evisceration of Jeremy Corbyn´s Labour, the second largest party in the country. With a predicted crushing majority and thus a crystal-clear mandate from the electorate, hard Brexit would have been as good as guaranteed. Theresa May´s political calculation was that the House of Commons would no longer be an obstacle to the process and that the House of Lords would not dare to stand in the way of the will of the electorate. Traditionally, the Salisbury Doctrine/Convention dictates that the House of Lords does not oppose the second or third reading of any government legislation promised in an election manifesto. The previous General Election in 2015 had enshrined a commitment to hold an EU Referendum but given no guidance on the type of Brexit to follow, no doubt assuming that this just would not happen. Obviously, the Conservative government was not sufficiently convinced that it was capable of ramming the necessary Brexit legislation through Parliament, so it felt the need to go back to the country for a hard Brexit mandate. But it turns out that the British electorate had other ideas and decided not to give any party any meaningful mandate at all. Instead of rubber-stamping a one-way ticket to hard Brexit, it delivered an enigma. A hung Parliament means that instead of a majority of 12, the Tories have no majority at all (317 seats, 13 fewer than before), even with its unexpected gains in Scotland, where the number of Conservative MPs increased from 1 to 13. Interestingly, since the Scots are extremely pro-Remain, these new Scottish Tories are unlikely to toe the party line and support hard Brexit. Indeed, it is conceivable that their leader, Ruth Davidson, could seek to defy the Conservative´s plans for a hard Brexit and even create a separate party. If that was not bad enough, the only way the Tories can cobble together a slim majority in Parliament is via some sort of coalition with the Democratic Unionist Party (DUP) from Northern Ireland. The Eurosceptic DUP is willing to enter into a confidence and supply arrangement and Theresa May announced on 09 June 2017 her opportunistic intention to form a new government with support from the DUP, the potential King Makers. Everyone, except for the Mrs May and her new government, which is actually pretty much the old government except for the addition to the charming, dependable and loyal Mr Michael Gove, is warning that it is not credible for the Conservatives to enter into either a formal coalition or a confidence and supply arrangement without endangering the Good Friday Agreement. Under the terms of the latter, the UK government must demonstrate “rigorous impartiality” but, as has been pointed out by several people, including IRA representatives and various former Conservative Prime Ministers, it is far from clear how this could work if the Conservative government were to invited the DUP to prop it-up in gaining a working majority in Parliament. You can bet your bottom Euro, sorry Pound Sterling, that DUP support will come at the price of a pound of flesh (politically and financially) to the Conservative party. Undeterred, Mrs May(hem) ploughs on in her cynical determination to create the most shamefully incoherent British government that I can recall. It is far from clear that she will succeed, in which case she will (surely) have no choice but to resign post-haste. Clearly, the general election result threw a huge spanner into the Brexit works. With one fell swoop, all the certainties of the past year have been overturned, starting with whether there will be a working majority in Parliament, let alone a workable one with the new Scottish Tories and the DUP in a rudderless boat. Moreover, the certainty that the country was heading straight for hard Brexit has been blown out of the water. By far the most likely course correction to be set, assuming the Tories manage to cobble together a working government, is for the DUP and the new Scottish Tories (together with the majority of the rest of the Conservative MPs, Labour and the Lords) to push for a soft Brexit. Rather than the General Election eviscerating the Labour Party as a political force, it is a reinvigorated party, despite defeat. Instead the most likely bet is that adjusting the course from hard to soft Brexit will be the catalyst for a schism in the Conservative party. Hallelujah; a deliberately engineered and catastrophic hard Brexit is off the cards. But do not rejoice too soon. None of this necessarily means that hard Brexit will not occur. The chances of a deliberately engineered hard Brexit may have gone but is still remains the most likely witting or unwitting outcome, rather than soft Brexit. The reason that hard Brexit will probably occur, regardless of a hung parliament and the new political dynamic, is not hard to divine. The 2-year deadline post invocation of Article 50 is ticking away and the UK has just fritted away 3 months of it holding a totally unnecessary General Election that has delivered an outcome that has totally muddied the Brexit waters. Even the 2-year period is not what it seems; all commentators agree that, in reality, only 14-18 months are available for “negotiations”, followed by at least 6-8 months of ratifications by 28 governments, as well as others, such as EU Parliament and regional governments. Moreover, whereas the EU-27 have been ready for negotiations for months, the UK is not even close to being prepared for hard, soft or any other type of Brexit. So far, there has been little but empty bluster of the “Brexit means Brexit”, “Red, Blue and White Brexit” and “No deal is better than a bad deal” variety emanating from the British government. Even a General Election ostensibly about the biggest challenge facing the country since the Second World War, namely Brexit, brought precious little debate let alone any more clarity about the government´s intentions. The EU´s Guidelines for Brexit Negotiations have been submitted to the UK, the UK has not yet reciprocated, though the “talks about talks” started on 19 June 2017. The only thing that exists is the UK´s official letter triggering Article 50, which is vague and is effectively superseded by the new reality since the General Election. Following the one-day talks about talks, the Brexit Minister, Mr David Davies, promptly caved in to the EU´s demands, for example to settle the broad terms of the “separation” (i.e. citizens’ rights, financial settlement and the Irish border) before trying to negotiate a future trade deal. The key plank of the UK´s negotiations has been removed before the real negotiations even start. This reinforces the point that while the 27-EU countries have agreed a unified negotiating position in a relatively short period of time, the UK government has not been able to agree a negotiating position of any description one year since the EU referendum. This speaks volumes about the parlous state that Britain finds itself in as the negotiations starts. There is not a single good omen that bodes well for the UK. The best Brexit cards are firmly in the EU´s hands, starting with the fact that time is on their hands. All the waffle, bluster and wishful thinking will be remorselessly blown away by the more experienced EU team. This parlous state of affairs is not in the least bit surprising. Although the Brexit game has been in play for a year, the only strategy there ever was, namely hard Brexit, has been scotched by the electorate. A coalition / supply and confidence arrangement has not yet been negotiated and may fail to materialise. The Conservative party is in total disarray and is increasingly split. The Chancellor of the Exchequer, Mr Philip Hammond has recently stated the failure of talks would be “very, very bad” for Britain in direct contravention of what the Conservative party has been claiming (“no deal is better than a bad deal”) for the last year. Whichever way the Brexit cookie crumbles, the mother of all internal wars will break-out within the Conservative ranks if they start back-pedalling towards soft Brexit. To add fuel to the fire, the Grenfell Tower fire fall-out is occupying much of Theresa May´s attention and could lead to her downfall. If she came across as being wooden and robotic (the Maybot) during the General Election, she now comes across as callous and heartless on top. If Grenfell Tower does not do it, her own party will topple her sooner rather than later: May is not just damaged goods, she is toxic political goods. The steady stream of concessions since the General Elections will not save her. A downfall is only a matter of time for a leader who is patently neither a strong nor a stable leader. Everyone can see that the reality is in direct contravention of the facile PR. What a mess for a country (previously) admired for its pragmatism to find itself in. The real danger is not that the imminent implosion of the Conservative party. It is that the EU has been deprived of a meaningful negotiating counterpart, let alone one that can deliver whatever is negotiated and agreed. This is as far removed from a “strong and stable” leadership as it is possible to imagine and poses major risks for the UK as well as the EU-27. One option is for the British government to withdraw Article 50, but this will not happen. Both leading parties are committed to some form of Brexit in response to the EU referendum. There is no way to close Pandora´s Box without holding another referendum and that is an option that neither major party is willing to countenance at the moment. Voter fatigue is palpable in the UK and a general election is in the air. At this rate, the UK is in danger or rivalling Italy and Greece for the title of re-elections champion. But even if this option were somehow to occur, it would still be to Britain´s disadvantage. Senior EU members are on record that nothing will ever be the same again for Britain, not least its generous EU rebate and the opt-outs that it now enjoys. There may be a way to row back from Brexit, an option left open by Germany and France, but it would come at a heavy political price in the UK, apart from the sheer humiliation of such a U-turn. Another option is for the UK government to accept the Norway option (European Economic Area), which means leaving the EU yet being part of the common market, making a financial contribution to the EU and accepting freedom of movement of people. At the moment, it is hard to see how either the Conservatives or Labour could square this with the sentiment of the UK electorate, where the continuing desire to stop EU immigration remains a red line. It is interesting that here, too, Mr Hammond is querying Mrs May´s target of reducing new migration to the tens rather than hundreds of thousands by wondering whether post-Brexit immigration controls would apply to EU workers who are highly skilled and highly paid. If it proves impossible to opt for a ready-made solution (e.g. withdraw from Brexit or Norway Option) and a fragmented government cannot negotiate an alternative within the 2-year timeline for Brexit, the UK will automatically crash out of everything connected with the EU. Unless the EU-27 unanimously agree to an extension of the 2-year separation period (assuming the UK requests it), the economy and much else will fall off the cliff and experience the most brutal possible form of hard Brexit. No one seriously wants to witness the latter scenario, other than hard-core Eurosceptics. But at the moment, it appears not only that Brexit means Brexit, but that, actually, Brexit means hard Brexit. Anyone who reads my blog knows that I strongly supported Remain in the lead up to the Referendum on whether to remain or leave the European Union (EU) on 23 June 2016. However, a very small majority (52% of the 72.2% of the electorate that voted) was in favour of leaving the EU. I have accepted that Brexit will happen and, indeed, that it should happen. I am neither a Remoaner (a blend of remain and moan) nor a doomster in terms of the UK´s economic prospects post-Brexit, but I do remain as convinced as ever that the future will not be as bright outside the EU and could turn out to be catastrophic for the country. Whether the UK should remain a part of the Common Market, Customs Union, etc. was not debated in the lead-up to the Referendum. The British electorate was not asked whether it preferred to be better/worse off because of the specific Brexit route selected by the government. The British Parliament has now passed the Brexit Bill and the Prime Minister, Theresa May, has signed the notification to leave the EU and triggered Article 50 on 29 March 2016, about 9 months after the outcome of the EU Referendum decision. So, it is worth pausing to consider the next stage of Brexit, following the official notification to leave the EU. Below, I review the UK´s and the EU´s respective negotiating position before the political horse trading begins. The starting pistol for the official part of the Brexit process has stated, but it is increasingly evident that Britain is between a rock and a hard place. Prior to the 29th of March, the UK´s position was strangely vague. For far too long, it amounted to little more than facile slogans, such as Theresa May´s “Brexit Means Brexit” and that Britain wanted to secure a “red, white and blue” Brexit. We have witnessed about 9 months of the Conservative Party primarily holding an internal discussion between its two main factions (Eurosceptics and the rest), while paying close attention to the editorial views of the more conservative right-wing press. This has been in stark contrast with the half-hearted efforts that the government has made to listen to the concerns of the 48% that voted to Remain, as well as the Scots and Northern Irish, let alone paying heed to the clear and consistent messages emanating from its EU negotiating partners. Therefore, it was a relief that the letter sent by the Government on 29 March 2017 officially invoking Article 50, had a semblance of reality about it. Away from maintaining that a bad Brexit deal is better than no deal at all, suggesting some appreciation of the damage that would be wrought on the UK´s economy from the “falling off the cliff” scenario. It still left open the possibility of a “transitional agreement” or “implementation period” being negotiated if no trade deal is struck within the short period of time available: there are only 12-18 months of negotiations, followed by 6 months required for its ratification by “super qualified majority” representing 72% of member states and 65% of the EU’s population. The Brexit bill for leaving the EU (i.e. the divorce settlement), which the EU estimates to be in the region of Euro 60 billion, but which the hard Brexiteers insist should be close to zero or even involve a refund to the UK. Like all divorce settlements, it could be an explosive issue. Upon receipt of the official British letter, the President of the European Council of 27 national leaders, Donald Tusk, counteracted with its own draft negotiating guidelines. It showed that the EU 27 could move at least as fast as the EU 1 (UK). There is a consultation exercise at present involving all 27 Parliaments, which demonstrates the extend of the democratic process which the EU is following, as compared with what the British government sought to do, before being forced by the British courts to seek its own Parliament´s approval for Brexit. The EU 27 will prepare itself for the possibility that the negotiations might fail. In a nutshell: no sector-by-sector deals, no bi-lateral negotiations, no negotiations until the Brexit divorce bill is agreed, full freedom of movement during negotiations and any transition arrangement and no trade deal until the end of the Brexit negotiations (though I imagine the latter position may change). These positions have been stated repeatedly and the discussions over 9 months carried out by May, Johnson, Davies and Fox should have made it abundantly clear what was in store, whatever the messages they may have been putting out to their own party, the right-wing media and country. The only element which seems to have caught the UK government by surprise is the EU´s position towards Gibraltar. The guidelines say: “After the United Kingdom leaves the union, no agreement between the EU and the United Kingdom may apply to the territory of Gibraltar without the agreement between the Kingdom of Spain and the United Kingdom.” which, roughly translated means that Spain will have a strong role in deciding the treatment of Gibraltar. But should this part of the draft negotiation guidelines have come as a surprise? The facts are: we live in a post-colonial world; Gibraltar is a geographical part of the Spain (though this does raise the issue of Spain´s own bits of North Africa, namely Ceuta and Melillia); the UK is well on the way to being an ex-EU-member, which results in a repositioning on the issue of Gibraltar; not surprisingly, the Spaniards have been lobbying behind the scenes, just as Britons have; and the EU cannot be expected to continue to maintain a neutral position towards Spain/UK in relation to Gibraltar. Let there be no uncertainly about this: from now on, if the EU must choose between the UK and Spain, Spain it will be. ´Twas ever thus is an expression that Britons should be familiar with, despite the ludicrously injudicious sabre rattling by Michael Howard, a hard Brexiteer Conservative MP who suggested that the UK might go to war over Gibraltar in the same way as it went to war over the Falkland Islands. This is not just nonsense. It is irresponsible, dangerous tosh. The EU and British government moved quickly to dampen this explosive development, but the tension has just started. Open the possibility that UK citizens might be able to individually apply to keep the rights they currently enjoy, etc. The European Parliament will have to approve any agreement regarding the UK’s withdrawal from the EU and will check whether its red lines have been complied with. Again, there is a bit of a contrast between how democratically the EU is treating the issue of Brexit as compared with the British government. For all the talk of a supposed EU democratic deficit, this seems like a pretty good process to me, unlike the UK being forced, kicking and screaming, by the British courts to allow Parliamentary scrutiny of Brexit. It is still unclear whether the UK Parliament will be given the opportunity to accept or reject the final Brexit deal. The empty internal talk within the Conservative party, the delusions of its Brexiteers over the last 9 months and the substance of much of the official letter sent by the British Government invoking Article 50 have been stripped away by the EU 27 and European Parliament. The dynamics of the relationship between the EU and the UK changed the moment May came out with “Brexit means Brexit” and it is far from evident that we will witness a “red, white and blue” Brexit. It is as plain as day that the UK is the one with the cap in hand, asking for EU favours, just as it was in 1973, when it finally joined the EU, having had its application vetoed twice by the French. The UK was in a weak position joining the club and is in an even weaker position leaving the EU. The British government is now between a hard rock and a hard place in respect to Brexit, even if it is a situation of its electorate´s own choosing. A disunited kingdom: the Scots are insisting on a second independence Referendum, once the terms of the Brexit divorce are known. The Brexiteers´ arguments to justify Brexit will come back to haunt them: sovereignty, control of own borders and all the rest will be used against The Union and it is hard to see the counter arguments to avert a break-up, other than the economic one. Scare tactics worked in the first Scottish Referendum but failed to stop Brexit and will almost certainly fail to prevent Scotix (Scottish exit) second time around. This is especially so because the Spanish government´s confirmation that it would not veto a Scotland application for EU membership. It could also lead to the same development in Northern Ireland (Irexit), since a bad Brexit deal could spur the reunification of the Republic of Ireland and Northern Ireland. Unlike Scotix, Irexit would lead to automatic EU membership of the EU, since the Republic is already a member. I will not speculate about Wales or Gibraltar for now, but the prospect of a rather DisUnited Kingdom emerging cannot be entirely discounted. So there are, to put it mildly, quite a lot of potential internal Brexit rocks for the Conservative boat to circumnavigate, even if the Labour Party is shamefully incapable of presenting any sort of meaningful opposition in Parliament at present. Experienced and hardnosed negotiating team: The EC´s Chief Brexit Negotiator is the highly experience Michel Barnier, combined with his Deputy, Sabine Weyand, a trade expert and behind them stands Jean-Claude Juncker. The EU Council have the highly experienced ex-Polish Prime Minister, Donald Tusk. And finally, the EU Parliament have an old hand at negotiations, namely Guy Verhofstadt. This amounts to a formidable team of EU negotiators. By contrast, UK has Theresa May, David Davies, Liam Fox and Boris Johnson. There is no UK civil servant that is of the same calibre or experience in trade matters as the EC officials. Which side would you bet on to get the best Brexit deal? The UK has 12-18 months to agree Brexit and a trade deal (highly unlikely) with the EU. The countdown has started and there is very little time, given the multiplicity, multidimensionality and complexity of the issues involved. The process of EU accession can take 10 years. The process of EU divorce will be a lot faster but after 44 years, whether the Brits realise it or not, the EU is interwoven into the very fabric of British life, economy and law. The Brexit clock is ticking louder by the second. Any disagreements, delays, posturing, prevarication, haggling, intransigence, etc. in the negotiations favour the EU 27, rather than the soon-to-be-ex-EU 1. This means that it is likely that the UK will have to repeatedly compromise or risk “falling off the cliff edge” of a hard Brexit, since it cannot count on any extensions in the timetable, unless the EU 27 agree to it. This is not likely to be achieved unless the EU 27 feel that sufficient progress is being made and, even then, is likely to be limited to 3 years. Trade deals can last a decade to hammer out. On the other hand, the UK has become decreasingly influential in the EU. It has either voluntarily removed itself from active engagement or was not able to engage because it is outside the Eurozone. Following Brexit, this has reached a point where the UK is irrelevant to the future of the EU, except in the short-term context of the Brexit divorce settlement. It was not even part of the recent low-key celebration of 60 years of the Treaty of Rome. This is the new reality for Britain and for Britons in Europe. The British government is caught between a rock and a hard place. So are British citizens and the rights and benefits accumulated over almost half a century, whatever the UK government may claim about preserving them. No matter how often the letter triggering Article 50 repeats the desire for a “deep and special partnership” with the EU, that was in the past. The future is nothing of the sort and may deteriorate further, once the serious negotiations start in earnest. This will be doubly so, once the hard Brexiteers and the English right-wing newspapers begin to see their long-held delusions crushed between the rock of EU determination that ex-EU members cannot have the same benefits as current EU members and the hard place of ensuring that Britain does not fall off the Brexit cliff edge. The outcome of this dreary process will be the final Brexit. The jubilant Eurosceptics will have regained the prize of the UK´s sovereignty and full control over the island. It will come at a heavy price to the rest of society and the economy. But they will undoubtedly consider it a cost well worth paying. The only crumb of comfort (if such it is), is that the UK government will thereafter no longer be able to pin the blame for anything and everything that is wrong with Britain and its welfare state on “Europe”, the whipping boy of choice, or EU immigrants, the scapegoats for all the UK´s long-standing social policy failures. What happens next is certain to be interesting, but it will not be a pretty sight. Brexit has happened: good luck! And so, the day after the EU Referendum, a small majority of my countrymen and women have voted to leave the European Union (EU). Today is my “D” Day: D for “Disaster”. I always knew that this outcome was a distinct possibility, which is why I have spent time in the last couple of months writing a series of blog posts on difference aspects of the Brexit debate. My effort has come to nought, hence my personal Disaster Day. So I shall try to treat this disaster in the same way as I would have treated triumph, had the referendum decision been to Remain in the EU. It has been hard fought and divisive referendum. But more than 50% of British adults with a vote (I could not vote because of a rule that forbids this after a certain period of time living away from Britain) have made their view clear and it is pretty consistent across almost every region of the UK, except for London, Scotland and Northern Ireland. It was always going to be a close run race. I offer congratulations to the winners and commiseration to the losers. The world will not end, nor will it change radically for the better as a result of Brexit. There may be stormy weather ahead but Britain is strong enough, sufficiently wealthy and well-educated enough to not only withstand the turbulence but hopefully to thrive. I wish Britain and my fellow Britons a prosperous future, despite what I consider to be the wrong referendum decision. What has the EU ever done for us anyway? Britons will be voting on the EU referendum tomorrow. The vote will determine Brexit whether Brexit will happen or not. This is actually Britain´s second great Brexit debate, the first being the referendum of 1975, which the Remain side won comfortably. There is a different scenario now and the vote could go either way on the 23 June 2016. In this divisive and intemperate debate about whether to Remain or Leave, the emphasis has been on the negative. Fear is the name of the game: if we stay/leave, the UK will retain/lose x, therefore, vote to leave/remain. It is rare to read a positive set of reasons which connects up with people are interested in the things that affect our day-to-day lives. This is the focus of this article. This one is written from the perspective of a citizen who happens to be British, has a German partner and has friends and family scattered all over Europe. It is the view of someone who has created a business in another EU country and who is active in EU nations as well as EU Candidate Countries and other nations. The thing I love most of all is the freedom of movement of people. It is the greatest gift to be able to travel, work, live, study, au pair, retire, etc. wherever we like, whenever we like, as often as we like in any of 28 countries. This is the epitome of freedom and we lucky enough to have it. If the climate in one country does not suit you, go to another. If the costs of living, such as housing, are too high, go somewhere else. If you cannot find a job in one place, try somewhere else. Britain is booming today but it might not tomorrow; this is when Britons will begin to appreciate it. Remember Norman Tebbit´s “on your bike Speech? If you can move freely within one country, to be able to do so in 28 / 508 million people is absolutely amazing. And the beauty of it all, is that no one has the right to question or hinder you. You can study or work abroad, alone or taking your family, without applying for visas or other waiting at the borders for hours, paying any fees or being dependent on any bureaucrat´s whims. Once the freedom of movement of people is lost, life will never be the same again. Not only that, the EU directives mean that I cannot be discriminated in any of the EU 28 countries on the basis of nationality, language, gender, religion, ethnicity, etc. This is priceless within the 28 countries, as well as between them all. This makes us the most advanced region in the planet – by far. Despite the fears being put about by the Leave Campaign, only 5% of the 508 million EU citizens take-up the freedom of movement of people. Most people are quite happy to live where they are, but use the other benefits of the EU. What are those? I love the fact that I can go on holiday whenever I like, wherever I like. I take for granted the fact that I can book a journey and set-off without delays due to visa requirements, border controls and other factors which transfer power from me, as a citizen, to others. The bureaucrats in 28 countries all have to apply the same rules to everyone from the EU. This increases transparency and freedom. It also makes for cheaper, faster, more efficient travel. And since there is a group of 28 countries involved, it is much harder for telecom operators, travel agencies, airlines, commercial banks, etc. to divide and conquer customers, ripping us off by imposing the highest prices they can for no reason. I now pay low mobile roaming charges and in 2017, I shall pay none because of the EU´s competition policy. I have an EU wide airline policy to ensure that I am compensated if my plane in unreasonably delayed, something that I have made use of. I can buy anything I like in other EU nations or via the internet and still have my consumer rights protected, regardless of where I live or which country I purchased something in – and I do not need to return to that country in order to make a claim. This is a great, even though I do not even think about it. I particularly like the fact that if I fall ill in any of the EU countries, I shall be treated without having first bought a private insurance policy, thus saving me money, time and hassle. That is great when I am on business. When I am on holiday, especially with my family, this is wonderful. I don’t think about it anymore, but it is a saving and it is very welcome. Britons cannot benefit from this yet begrudge others of the same rights in Britain. Ask the British pensions living in Spain and France. I am only too aware that the Eurozone, comprising 19 countries, is unfinished business, as the situation in Greece and other countries continues to show. On the other hand, even more countries are joining over time, which shows that others do not share the British newspapers´ Euroscepticism. They keep pronouncing the Euro dead: read the archives of any of the top journalists of the Mail, Sun and Telegraph and you will see how many times the Euro has been written off since 2007. Yet it is still here and is the world´s second reserve currency, not Sterling. Those journalists should occasionally re-read their previous articles and learn to a bit of humility. I love the fact that I do not have to pay a provision to exchange money every time I go to another country and to pay again to change it back if I do not want have tons of useless coins and notes in a box somewhere. I transfer money between Germany and other countries freely or for a pittance, yet still pay through my nose to transfer money to and from Britain. I can, if I wished to, buy a holiday / retirement home in any place I like, etc. If I fall ill and my health system forces me to wait years for an operation, I can just go to another EU country that can do it faster; it is up to the health systems to sort out the payment amongst themselves. I get treated faster and my quality of life improves immeasurably. I am empowered by the EU´s capacity to make this happen for 508 million citizens. Bureaucracies such as restrictive health systems lose. I gain. I know my children can study anywhere they choose to at primary, secondary and university level. Mobility is increasing and Europe will be their oyster in terms of studying, living and working. Should they, like me, wish get married to someone from another European country, I know their spouse will not be disadvantaged and they can live and work where ever they desire. Families will not be split. The EU regulations are often vilified. But the rights that they assign over 28 countries mean that my children will not be discriminated. Their health and safety will be protected. They will also have at least 1 day off a week, 20 minutes break if they work more than 6 hours, 11 hours´ rest from work each day, not work more than 48 hours per week if they don’t want to, get at least 4 weeks´ paid holiday a year, etc. They will get the minimum package across all 28 countries: this means that employers across 28 nations have the same basis deal and they cannot screw the employees in a race to the bottom. Why would anyone, other than unscrupulous employers or politicians, turn down a package that upholds human dignity and protects health and well-being? There are other things that I love but which are harder to pin down. I know the mankind is flirting with disaster unless we do something about climate change. 28 countries doing nothing or perhaps something about climate change is not the same as all EU doing it together: working in concert is the only way to tackled the “tragedy of the commons” across the whole of Europe. This applies to the water I drink, the rivers and beaches I enjoy, the air I breathe and the birds, animals and habitats that I interact with and depend upon. I know that Britain did not take these things all that seriously until it joined in 1973 but that the EU rules apply to all: this is the reason why fish stocks are being preserved and renewed and is the reason why British beaches have become clean. I am glad the EU steps-in because I know for sure that some countries would otherwise just ignore environmental issues. Not all government care equally about what we leave behind for future generations and one that does today may change its mind tomorrow. But it also applies to other abstract issues. I remain stricken by Europe and NATO´s inability to deal with the collapse of the former Yugoslav Republic. The war may be over, but there are still issues festering in parts of the Balkans and now, the situation in Ukraine/Russia threatens to spill into the rest of Europe. I have lived through a civil war and I am only too aware of its consequences, even if my fellow Britons may not be. So I say this: Britain may be an island but it is not immune to what happens beyond its coastline. Two World Wars should make that abundantly clear. Even when Britain won, Britain lost big time in people, trade, wealth, empire and much more. I would rather live with the EU´s flaws and cost (as a German tax payer I contribute more than any other nation) than with the unquantifiable cost of possible future conflicts in Europe. Criminal and terrorist activities are nothing new to Britain (I remember plenty about the IRA´s previous campaigns), Germany and the rest of Europe, though the nature and origin have changed over time. A terrorist is a terrorist is a terrorist regardless of nationality, race, religion or gender. My safety is enhanced when 28 nations share information, coordinate activities and act in unison. Going it alone is not my view of how to deal with a globalising world that brings new threats to every nation and every doorstep. If asylum seekers can find their way into Britain, so can a determined criminal or a terrorist, even if Britain does not have open borders as the Leave campaign wrongly claims. Working in concert, working with 27 other EU nations, carries a lot more weight in terms of health, environment, defence, counter terrorism, international relations, trade, crime prevention, fraud prevention, consumer protection, research and development, education, etc. etc. etc. This is a small sub-set of the benefits of being in the EU, as I see them. So, what has the EU ever done for Britons? Plenty since 1973, I would say. Is it worth paying less than 1% of GDP into the EU budget for and pooling parts of our sovereignty with the EU? Yup! Every single time. Is the EU, perfect? Hardly. But neither it the UK now, let alone when it is on its own. Would I want to give up the above on the 23 June 2016? The answer is obvious. So the question to my fellow Britons who are undecided is: why would you want to? The European Union (EU) referendum to decide whether Britain will remain in the EU is less than a month away and the “Brexiteers” (those in favour of leaving or “British Exit”), complain that their opponents, the “Remain” campaign, are making every effort to scare the electorate (“Project Fear”) so as to get a vote to stay in the EU. The Brexiteers cannot complain, as far a I can tell, because they are busily bending the truth while also cranking-up the pressure (“Project Fear”) on the poor average British voter. To illustrate this let us consider the way the future enlargement of the EU is being handled. Boris Johnson, the former Mayor of London and the most prominent of the Brexiteers, was his usual self. He said whatever came to his mind that sounded vague humorous while paying scant regard for facts. He can be relied upon to say the exact opposite at a later point in time if it suits him and can help to position him to become the next Prime Minister. Britain would face an influx the size of population of Scotland by 2030. The Sun, Telegraph, Mail, Express and the other pro-Brexit newspapers widely reported the enlargement claims and forecasts. The image conjured up was one of 5,2 million extra immigrants (the population of Scotland) beating a path straight to the UK, bringing crime and terrorism to our streets, along with making all our public services unsustainable. Since the Brexiteers keep constantly suggesting that British public services are already at “breaking point” due to EU immigration, it is not hard to imagine what life would become like for the long-suffering Britons, once the Balkan hordes have descend upon the green and beautiful land in 15 years´ time. Thanks so much for the timely warning! So I though you might be interested to read the perspective of someone who has worked in all the Central and South East European countries that are now part of the EU (e.g. Poland, Slovakia, Romania, Bulgaria and Croatia), as well as the five current EU accession countries. I know that the mere fact that I have worked in all those countries, including the European Commission as a client, will mean for some that I am disqualified from commenting on the issue of EU Enlargement. They will automatically dismiss me as someone who is “benefitting from EU funding” with the implication that I must be totally biased and am somehow being paid to write something in favour of the EU. I notice this particular argument frequently emanating from the Brexit camp whenever someone has the temerity to call the case for Brexit into question. I can only say that if first hand experience of EU accession is not relevant to a debate about EU accession, then that is a bit of a Catch22, right? Perhaps it is those that know absolutely nothing about the countries or the process of enlargement that are best placed to comment (like some ministers I could mention)? The first point is that those countries are far from perfect. There are criminals, there is corruption, there is fraud, there is terrorism and there is much else besides such as imperfect democracies and questionable treatment of human rights in the EU accession countries. All true but if that were not the case, they would probably already be part of the EU. It could be argued that a similar litany of woes applies to Britain, Greece, Poland, Hungary… indeed all 28 EU countries; it is merely a matter of degree. The whole point of trying to join the EU is to develop rules, regulations, policies, standards, norms, etc. through adoption of the EU´s body of rules (called the acquis communautaire) that will enable those countries to become more democratic, transparent, productive, competitive and wealthy and thus developer a higher quality of life. Yes, this does indeed happen by preparing to join and then being part of the EU: it happened in Ireland, it happened in Greece (their implosion was due to joining the EU, which is why the Greeks have absolutely no desire to leave the EU) and it happened in Britain for those that remember the country prior to joining in 1973. For the citizens of the EU accession countries, the EU remains a bright beacon of hope. As a consequence they are willingly going through a painful and drawn-out process of reform and change across all elements of laws, institutions and practices, so as to approximate the EU framework. To then be singled out for misused in a British debate which tars them with the brush of all current British public fears, is an affront for people and countries that also have their national pride. Shame on you Brexiteers, for your smug, holier than thou attitude, as well as your lack of respect towards the people of those nations. Not only is it offensive to project a future EU enlargement far into the future and couple it with “crime, corruption and terrorism on British streets”, it is also a wilful and malign mischaracterisation of the nature of the people concerned. I have worked with and enjoyed the company and hospitality of Turks, Serbs, Macedonians, Albanians and Montenegrins (as well as Kosovars, Bosnians and others who aspire to join the EU). I feel privileged to consider many of them to be my colleagues and friends. My experiences have never been anything short of positive in those countries. (As an aside, it so happens that I am writing this post in Tirana; the UK Ministers in question will no doubt be relieved to find out that I have yet to be kidnapped, robbed or terrorised.) In contrast to the calculating Brexiteer portrayal of these people, I am reminded time and again of their warmth, friendliness and positivity in the face of their everyday challenges as they make the slow, painful transition towards alignment to the norms of the EU. They are as European as the rest of the EU. They have the right to aspire to become part of the EU, as long they fulfil the extremely rigorous conditions connected with EU accession. That applies equally to Turkey, a small part of which is undeniably a geographical part of the Balkans and thus Europe. The EU is not forcing any country to join: those countries wish to be part of the EU and it would be wrong to deny them the opportunity, just as Charles de Gaulle was wrong in vetoing the UK´s efforts to join the EU, twice. The Balkans is undeniably the next, obvious phase of EU enlargement, even if the Turkey question remains highly politically charged. Every European should be aware of the fractured history of the Balkans. It is totally indefensible for one Brexiteer after the other to chuck them all into one big basked and then proceed to attach to them the most negative stereotypes imaginable. As if the EU does not suffer from some of the same problems. There has always been more than enough crime, fraud and terrorism in the original EEC/EU6 and there still is in the enlarged EU28, as far a I can tell. I doubt that the Brexiteers have been to the countries that they so disdainfully dismiss. For Europe to turn its back its Balkan neighbours (including Turkey) would be a mistake of epic proportions (let us not forget Europe twiddling its thumbs during the collapse of the ex-Yugoslav Republic and its aftermath) that would reverberate through decades to come. The EU understands this intrinsically, hence the process of Balkan enlargement. Ms May, Mr Gove, Mr Duncan Smith and Mr Johnson: your cheap political points are calculated to instil a dreaded fear of those countries, those people and the process of EU enlargement. In my eyes, all of you have forfeited your status of being serious, thoughtful and responsible politicians. It is important to stress that Britain is now playing a very different tune in terms of its position on EU accession. For decades the UK was one of staunchest advocates of EU enlargement. In 2004, it allowed all new EU countries (Poland, Slovakia, etc.) to have access to the UK´s labour market a full seven years before it was required by EU transition provisions to do so. This is because the British economy was booming at the time. Many EU citizens responded to the UK´s invitation and came to the UK, thus maintaining the growth of the British economy. However, when the global economy faltered badly during 2007/8, the very same people which Britain had encouraged to come, who had paid their taxes and who had contributed to our wealth generation, were suddenly persona non grata. First there was Labour´s “British Jobs for British Workers”, then UKIP´s swift rise shuffled the cards of British politics, leading directly to the decision to hold the EU referendum. The longer this debate has gone on, the more it has become divisive, resulting in a no holds barred onslaught on EU immigrants, emboldened by the Brexiteers insistence on overcoming the deadening hand of political correctness and determination to call a spade a spade. But the simple fact is that the persistent characterisation of EU immigrants coming to the UK for benefit tourism, for social housing, for health tourism and all the rest of the claims about public services such as shortages of school places (all distorted – follow the links) amounts to scapegoating people who are hard-working, contributing to the wealth creation of the country and perfectly within their rights as EU citizens. Blaming all of Britain´s long standing public service woes upon the EU and EU citizens, apart from being untrue, lacks class, is unfair and does not reflect the values that Britain and Britons have historically stood for. British public services have been run down by decades´ worth of neglect, underfunding and lack of political will, which is the reason why housing, education, health, transport, etc. are in the state that they are. It has something to do with the recent levels net immigration, granted, but it is primarily to do with consistent and systemic public policy failures and insufficient funding, over a period of several decades. It is politicians such as Mr Gove, Mr Duncan Smith and others in Government who were responsible for those public services. The current situation reflects long-term political neglect combined with an unprecedented degree of austerity which is squeezing British citizens beyond the point where the pips squeak. The losers in this process are first and foremost the non-working population, followed by those on low incomes, followed by the middle-income population. All are feeling the pinch, but it is the EU and the EU citizens are feeling the fall-out. It is hypocritical to invite EU immigrants with open arms (certainly during early to mid-2000) when all boats were rising, and then promptly turn our back on the same people, once the recession came along and life becomes harder for most. This is not for the first time. Think back to when the Afro-Caribbean population was similarly invited to keep the British economy ticking over and then made to feel somewhat less welcome in the 1970s and 1980s, when the economic tide turned (as it invariably does). History is repeating itself, though it is no longer a racial matter. Indeed, because they are being squeezed hard by the economic situation combined with the effects of austerity, some of the harshest critics are some of the non-EU immigrants: irony of ironies. But the fact is that by being part of the EU, the EU immigrants who are being derided by the Brexiteers have full and equal rights to be in this country. The very same rights as the very large number of Britons living throughout the other 27 EU countries have. The issue is how to deal with the public policy issues, none of which are new, not to scapegoat some people while blithely continuing to sit on our hands, rather than responding to changing patterns of demand and supply in public services, including housing. Coming back to the main point, Ms May, Mr Duncan Smith and Mr Gove and others have also got their facts wrong about EU accession. The five candidate countries comprise an overall population of 88 million, of which Turkey makes up 75 million. Four out of the five are a mere drop in the ocean in the scale of things. If they were to join the EU, they would add 12 million or 2.3% to the population of the EU (currently 508 million). How adding four countries would turn 28 into a “throng” is up to Mr Gove to explain. The greatest concern would undoubtedly be the possibility of adding Turkey, set to become the most populous country in Europe (but see below), potentially adding 7% to the overall population of the EU at some point in the future. But the issue of Turkey has little to do with population and a lot to do with religion. It is not by accident that Turkey has been has been an Associate Member of the EEC/EU since 1963 – it has been waiting in the EU´s antechamber for 53 years! How the Brexiteers can suggest that Turkey will suddenly become a full member of the EU by 2020 stretches credulity. But the Brexiteers´position undoubtedly has little to do with “Project Fear” or hounding Britons into voting for Brexit by suggesting that the Balkan horde cometh. The EU has learned from the accession process in 2004 and especially 2007, when Bulgaria and Romania joined. The progress (or lack of it) being made by all five existing Candidate Countries is regularly assessed and widely available for all to see in the EC website. A reading of the annual progress reports makes it clear that negotiations have only started with Montenegro, Serbia and Turkey, but not with Albania and Macedonia. It is clear that none of them is making particularly rapid progress and accession will take years, possibly decades, for them to be assessed as having made sufficient progress for the European Commission to recommend that they be accepted as new members of the EU. The suggestion that they will all join the EU any time soon, such as 2020, is far-fetched, with the possible exception of Montenegro, a country of 600,000 inhabitants. Turkey´s ongoing struggles with the basics (democracy, human rights, media freedom, etc.) mean that it has an extremely long path ahead before it reaches the point of accession readiness: 2020 is completely out of the question at the current rate of progress. The suggestion that all of them, including two that have not even stated officially negotiating accession, could join the EU by 2020 is simply pie in the Brexit sky. Some EU counties have pledged to hold a referendum on enlargement connected with Turkey, thus adding a huge degree of further uncertainty about its future accession. The Brexiteers´arguments are plain wrong and they are fully aware of this. The same goes for their diagnosis of the role of EU immigration in relation to the breakdown of British public services. The same applies to the claim that the EU costs Britain GBP 350 million per week. And yet the Brexiteers keep pushing the misleading buttons. They have run out of valid economic arguments and the only Joker left in the pack is the current and future EU immigration card. The Brexiteers are wrong in their estimated scenarios of possible future immigration from the five EU accession countries. Because in addition to the arduous process of accession connected with the acquis communautaire, there is the small matter of getting 28 unanimous “yes” votes to accession, followed by the referendums that any of the 28 nations may choose to hold. These multiple barriers undermine the scaremongering. Even if the EU accession countries, especially Turkey, get through all those hurdles, there is also the EU´s 7 year transition provision, which means that each new country that joins the EU, must wait up to 7 years before its population acquires the right to live and work in the rest of the EU countries. Even in the extremely unlikely scenario that all five countries join the EU by 2020, it would be 2028 before any of them would have the right move, live and work in the UK, unless Britain chooses unilaterally to suspend the 7 year rule, as it did in 2004 but not in 2007. For 5,2 million additional EU immigrants to move wholesale from these five countries to the Britain is yet another stretch of the Brexiteers´ febrile imagination as the 23 of June 2016 approaches. When it comes to EU enlargement, there are lies, damn lies and Brexit. The crisis in school places: is Brexit the quick fix? With about a month to go before the EU referendum scheduled to take place on 23 June 2016, high-profile Brexiteers keep pushing the line or argument that it is because of the European Union´s (EU) freedom of movement of people that Britain has major problems with its public services, not least health (EU health tourism), housing (being priced out by EU migrants), benefits (EU benefit tourism), education (too few places due to EU immigrant families), etc. I have already discussed some of the arguments (see links above), so now attention turns to another major public policy concern in the Brexit: education. If it true that the education system is under pressure specifically because of immigration from the EU, then this could be a reason for considering leaving Brexit from the EU. On the other hand, if the pressures for educational places predate 2004, when the EU immigration to the UK started in earnest, or if EU migration is only one factor among others that are causing the particular problem of pressures for school places, then it is also reasonable to discuss those other issues, thus putting EU immigration in context. After all, everyone knows that government has ultimate responsibility for securing public goods which the market cannot deliver on its own: where an important public policy gap is diagnosed, it is for government to devote the necessary public funds to correct the market failure. No one is suggesting that Brussels is responsible for education (or housing construction, funding hospitals and clinics, etc. ), not even the Brexiteers. My kingdom for a school place! This possibility is deeply troubling for the average British family, so let us try to unpack this issue. First of all, it is clear that Ms Patel and her bedfellows are not making allegations about the performance of the school system. There, it is clear that educational performance is a long running concern that cannot be pinned on the EU: Britain is responsible for the national curriculum, the schools and the teachers, not the EU. In any case, Britain has a long and proud history of accepting children whose mother tongue is not English and turning them into integrated citizens. Furthermore, the experience of EU migrant’s children has generally been positive in pushing up standards, especially in the urban areas where EU and other migrants tend to concentrate. So instead, the Brexiteers are focusing on the issue of insufficient school places (i.e. the unsustainable pressure bit) and pointing to EU immigration as the reason for the crisis. So the central question to be asked is: are there sufficient places for school age children in the UK? The answer is a clear and unequivocal “yes”. At the national level there is a notable surplus of both primary and secondary school places. “There are currently 4.416 million primary school places in England and 4.011 million pupils on school rolls which means there are 434,000 unfilled places. At the moment the number of unfilled places as a percentage of total places is 9.8%… The current number of secondary school places in England is 3.637 million while the current number of pupils is 3.191 million. This means that there are over 450,000 places currently unfilled. The number of unfilled place as a percentage of total places is currently 12.9%.” (emphasis added, 2014 data). The real issue is that Britain’s fertility rate combined with immigration has resulted in a projected increase in school age children, which will feed into the school system from 2018 to 2020, as illustrated in the chart below. So the point is not that there are currently unsustainable pressures but that in the future there might be unsustainable pressures if the British government fails to act. Perhaps this is what Ms Patel actually means, as opposed to what she and the rest of the Leave campaign are implying. Either way, the effect on the average voter can be imagined. Responding to present or future school place demand is categorically not the responsibility of the EU or of EU citizens who choose lo live in Britain, as is their right to do. It would be absurd to blame the large numbers of Britons living in France and Spain for causing unsustainable health / housing / education, etc. pressures there. Relatively little of the projected increase in demand for UK school places can possibly be attributed to EU immigrants. Generally speaking, they tend to be younger, better educated and single, factors which tend not to be correlated with large families and thus disproportionate number of school age children. As far as I can tell Britons, including Ms Priti Patel and Mr Nigel Farage, as well non-EU migrants who make-up the majority of the annual immigration to the UK, also find the time to make babies. British children clearly and unequivocally make-up vast majority of the children taking-up places in the schools. When it comes to forecasts about future school places, it is the responsibility of Ms Priti Patel, Mr Boris Johnson, Mr Michael Gove (former Secretary of State for Education (2010-2014) and previously Shadow Secretary of State for Children, Schools and Families (2007 – 2010)), Mr David Cameron, Mr David Osborne, etc. to ensure that resources are allocated to meet those needs. Since politicians keep on about our children being our future, one would expect them to get on with funding the necessary school places, so as to avoid any future unsustainable pressure from a well-documented surge in school age children. Is this too much to expect of a responsible government and its leading ministers? It would not be appropriate to suggest that the problem of school places is only about the future: it is also about today. The point is that demand for school places varies from location to location. Some schools are much more attractive than others for the simple reason that some perform much better academically than others. Most parents want to send their children not just to the nearest local school but to the best performing nearest school, since this is likely to affect their educational performance and thus their chances of getting to university and land a good job. That is a perfectly rational desire on their part. But the result is that in high demand locations/schools, the parents’ first choice of school may or may not work out. The issue is thus not one of not getting a school place, whatever the Brexiteers may imply (though it may come to that in the future), but of getting a place in the school that the parents would prefer their child to attend. The better schools will always attract more demand for school places than they can possibly satisfy. In this context, available primary and secondary school places may not match demand for specific schools in particular parts of the country, especially in urban areas. In some places, it is possible that simply not enough school places are available to cope with demand. None of this is new, unusual or driven by EU immigration. Since demand and supply vary across time and space, it is up to central and local government to meet that future demand (based on population projections), as well as current demand in hot spots. This is at the core of governance, which includes taking into account the fact that EU migration not only happens, but has been happening since even before the UK joined in 1973. Nothing new there, though the scale of EU immigration has increased since 2004. That is nothing new either, so the responsible individuals have had more than enough time to factor it into their planning. It is up to each local authority not only to ensure that there are sufficient school places, but also to promote parental choice, diversity and fair access. If there are access hot spots in particular locations, would you blame the parents for choosing to live in those parts of the country or wanting to send their kids to be best possible schools? If there are particular areas with insufficient school places, would you blame people for still wanting and expecting their children to get a school place? If there are problems, I would point to central and local government for failing to act according to the population forecasts and patterns of demand. There is absolutely no rocket science and there are no sudden unexpected factors involved. The nationality of the children or parents involved is irrelevant, except if some choose to make a political issue out of it. The Department for Education is tasked with making capital funding available to establish new schools and maintain existing ones. For their part, local authorities argue that they cannot cope with the funding pressures: in 2014, 3 out of 4 claimed that capital funding for new places was insufficient. The National Union of Teachers argues that where there is a school places crisis, it is caused by the curtailment of local authorities’ powers and the centralisation of decisions over where to build new schools. I can see that a problem exists in the policy nexus between the Department of Education, local authorities and the National Union of Teachers. What I fail to see is how Ms Priti Patel can attribute blame to EU immigrants when she and her fellow Brexiteers, such as Mr Gove, have systematically failed to perform their day job. It is British politicians and ministers who are paid to assess, plan and fund school places (and housing and health services and infrastructure and all the rest of public goods that only government policy can deliver) according to changing patterns of national, regional, local and micro demand. This applies equally to all public services. Surely Ms Patel and Mr Gove can understand this point and their own role in the future availability or otherwise of primary and secondary school places? But fear not, it is not too late. There are still a few years before the looming school place crisis hits the school system (see chart above), so they may as well just get on with building the necessary schools, rather than blaming all and sundry for national and local politicians’ own policy failings. It is not just a bit too convenient to push the blame for public policy failures to someone else? Scapegoating immigrants is never a pretty sight and can be downright dangerous. With her background, Ms Priti Patel should understand this point much better than most even if the EU referendum, so dear to her ideological heart, may be at stake. I acknowledge that for someone with an immigration background in theReferendum Party and now the Conservative Party, talking tough about EU immigration may be some sort of mark of distinction, but she has to be fair and reasonable in apportioning blame for the problem. As far as I am concerned, that particular bar is set even higher for senior members of the British government with constant access to the media. With power should come at least a sense of proportion, if not responsibility. The longer the Brexit debate goes on and the more the polls shift slowly towards Remaining, the more shrill the Brexit case become. The same could be said about the Remain campaign to some extent, though the focus is different. One is tenuous and based on the premise that EU immigrants are to blame for almost all the public policy problems (housing, education, health, etc.). The other talks principally about the economic consequences of leaving on taxes, wages, pensions, house prices, jobs, etc. This claim and counter claims muddy the waters and confuse the public prior to what will undoubtedly be the most important vote for a generation. However, this decision cannot possibly be reduced to just the issue of EU immigration, no matter how emotive it may be. Apart from anything else, British people returning home to the UK, together with non-EU immigration, constitute a larger portion of annual net migration than does EU immigration. Returning to the issues of school places, let us keep things simple: any way you choose to look at it, Brexit cannot possibly be a quick fix for the forthcoming crisis in school places at primary and secondary school level. The surge in school age children is coming because of fertility rates: that means first and foremost Britons, as well as non-EU immigrants and EU immigrants. Why single out the least important contributing factor that is dwarfed by the impact of Britons themselves? Leaving the EU will change little in this respect, not least because EU migrants are attracted by work, are younger, are better educated and are more mobile, all of which tend to reduce fertility levels compared to the UK average. Neither will Brexit affect well-established and long-standing local patterns of demand for the better performing schools. That is, unless Brexit is to be combined with forcing non-native Britons back to the other EU-27 countries. This is something which has been ruled out by everyone, even UKIP, since it would prompt a retaliatory reverse flow of almost as many Britons back to the UK. Apart from unleashing unpredictable forces in Europe (there are enough of those around at the moment) for very little gain, it would be one heck of a mess to sort out. The UK government (Department of Education and Chancellor of the Exchequer) should take its responsibility seriously and allocate the capital funding today in order to create the necessary new school places tomorrow and relieve localised pressure for school places. Local government should ensure that public funds result in schools being built in the right locations, especially in high demand urban areas, while also ensuring fair access in demand hot spots so as to avoid accentuating social segregation. Ms Priti Patel and the rest of the Brexiteers, not least Mr Michael Gove, should acquire a bit of humility and refrain from pinning their and their fellow British politicians’ own long-standing public policy failings (e.g. housing provision, NHS funding, capital funding for school, etc.) on the EU and scapegoating EU immigrants at the same time. Now that would be a nice start in actually trying to solve at least one of Britain´s public policy challenges. Will it happen? Fat chance. It is much easier and politically rewarding to keep pointing the finger at EU immigrants. In the past, that finger was pointed at any old immigrant. These days, in the lead-up to the EU referendum, it is no coincidence that it is EU immigrants that are singled out. And what happens after the 23rd of June 2016, when it has become normal and acceptable to blame Britain´s long-standing public policy ills (e.g. access to housing, access to education, access to health, benefits abuse, etc.) on foreigners, rather than the Britons who are responsible for policy-making, planning and funding? Will Britons wake-up and find that those public services have miraculously improved? Scapegoating is far too easy; trying to understand the problems and then solving them is much, much harder. Britain has a huge challenge. 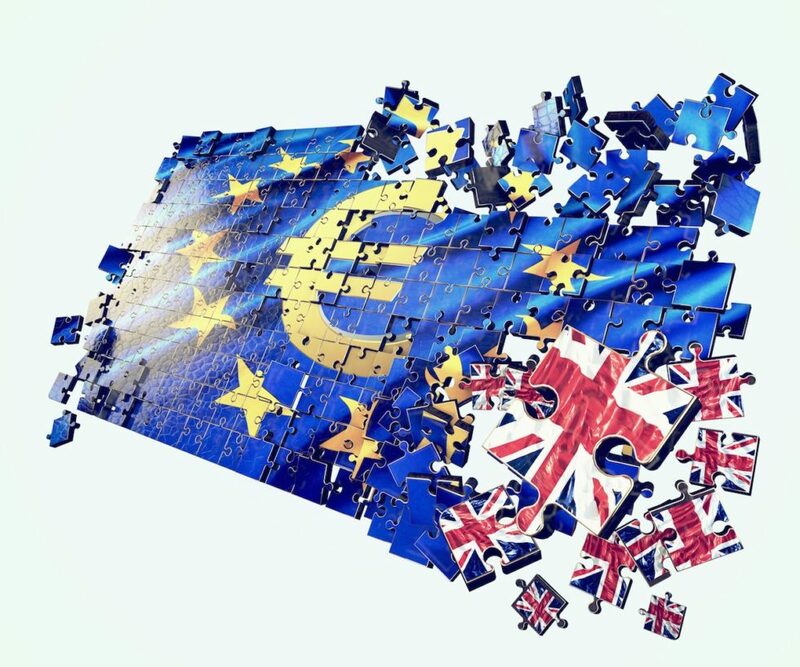 In the fractious lead-up to the Brexit referendum on the 23rd of June 2016, almost everything imaginable is being use for or against the European Union (EU), but on this occasion I am not referring to the EU challenge. I am alluding to the title of this post, namely the productivity of the UK, as this has direct implications for economic growth, wages and ultimately living standards. Given its importance, it should be the No 1 issue in the debate about the future of the UK, except that it is barely touched upon. This is a mistake. Productivity refers to how efficiently inputs (i.e. capital and labour) are used to produce outputs (i.e. goods and services), the best measure of productivity being output per hour. 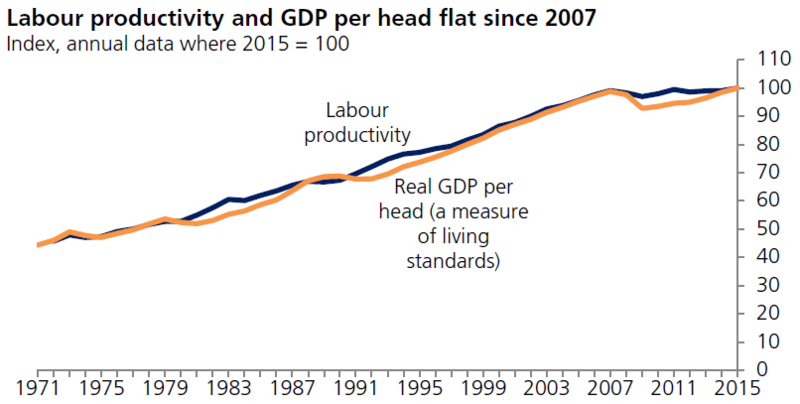 In theory productivity matters a good deal: Britain’s capacity to raise its standards of living over time depends almost entirely on its ability to increase its output per worker. Productivity is also crucial in determining the long-term growth rates of the economy; stronger productivity growth leads directly to faster GDP growth. If this happens, tax revenues increase and budget deficits decrease. Governments have more to spend on public services such as health, housing, school places, GP / hospital capacity, infrastructure, etc. all of which are at the centre of the Brexit discussion. Naturally, the reverse also holds true: with lower productivity. And if Britain’s productivity is lower than its competitors, such as other EU nations, its relative standard of living decreases over time. Productivity matters a great deal. The Nobel Prize winning economist Paul Krugman is reported to have said that: “Productivity isn’t everything, but it’s nearly everything”. What is the situation in Britain? British labour productivity has traditionally grown at around 2% per year since the 1970s. That is not at all bad but the point is that since the global recession began in 2007, Britain´s productivity stagnated and continues to do so almost a decade later. Official reports stress that: “… such a prolonged period of essentially flat productivity is unprecedented in the post-war era”. The Chart below illustrates the trend. 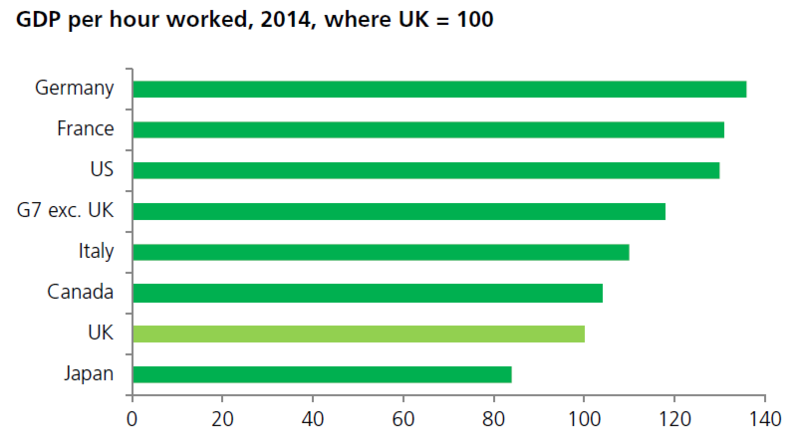 Although economic growth has resumed quite strongly since 2013, this is mainly the result of an increase in the total number of hours worked in the UK, rather than rising productivity. What this means is that Britons are working harder to produce the same amount of goods and services than was the case prior to 2007, and much harder than if productivity growth had continued at its 2% annual trend rate. The feeble productivity level leads directly to the stagnation in UK wages and living standards. This is already having significant effects in terms of the on-going package of austerity in Britain, which is being felt across the whole country and is, if anything intensifying. People´s economic pain is much more a consequence of low productivity than of the costs of the EU or the freedom of movement of people (EU immigration). If Britain’s productivity does not bounce up to the 2% trend, the implications for the economy, public finances and future living standards will be even more severe than is already the case. International comparisons illustrate just why this is the No. 1 challenge. Based on real GDP per hour worked in 2014, the UK was ranked sixth among the Group of Seven (G7) countries, with Germany top and Japan bottom (the Chart below illustrates the issue). UK productivity was 18 percentage points below the average of the other G7 countries, the widest productivity gap since at least 1991. To illustrate the point further, it was 10 percentage points lower than Italy (which is hard for Britons to swallow), 30 percentage points lower than Italy and 36 percentage points lower than Germany. On the basis of output per worker, UK productivity was 19 percentage points below the average for the rest of the G7 in 2014. The resumed economic growth and low unemployment rate combined with stagnant productivity has led people to talk of the UK’s “productivity puzzle”, as Britain loses ground to its major competitors. Unlike Eurozone economies, Britain has its own currency and is fully in charge of its monetary policy. Blaming the EU and European immigrants for all its ills is far too easy and convenient. Instead, Britons should take a good, hard look at their own economy and what is required in order to increase productivity not just back to 2%, but ideally above this threshold. Raise the skills and qualifications of the labour force: the education system has to produce a better educated labour force and employers need to invest more in skills via training, apprenticeships, etc. These are known to increase labour productivity, however, the evidence is that this is not happening sufficiently. This may be part of the reason why Britain has been attracting ready-made, educated and trained migrants from the EU and non-EU countries (academia, R&D, industry, health service, financial sector, etc.). It is doubtful that the UK can immediately raise skills and qualifications to substitute what comes through the EU (the EU labour force is more highly educated in terms of average levels of human capital), thus productivity levels are unlikely to be enhanced by Brexit in the short to medium term. It takes time, investment and planning to systematically build-up the human capital base. Increase investment in technology: the adoption of new technology is a key factor in improving productivity, as illustrated by the advent of computers and the internet in the recent past. A strong focus on generation of innovative products, services and processes would translate into high productivity levels. However, exiting the EU may either slow down this process or increase the investment cost. This is not just because of the potential loss of international collaborative innovation and R&D networks across European countries, which the EU funds. Brexit would also result in uncertainty about trade in the short-term and almost certainly less favourable trade agreements with the remaining EU trade block of 27 countries. This is likely to translate into increased import and export costs for Britain, including of equipment and technology. By opting out of the EU and its 50+ trade agreements, less favourable trade agreements will eventually be negotiated with 120+ countries. If investment in technology becomes more costly, firms may delay or avoid it, so it is unclear if the UK’s productivity levels will be enhanced by Brexit. Increase substitution of capital for labour: if labour becomes cheaper and more freely available, firms may have fewer incentives to invest and may choose to use labour intensive methods, rather than capital-intensive ones. This would result in lower levels of productivity, though jobs and incomes would be maintained, at least for a certain period of time. A surge in productivity would require a reverse in the trend of underinvestment in plant and machinery, as well as physical infrastructure. If Brexit means much less availability and/or more expensive skilled capital, this could spur greater levels of substitution of capital for labour, thus stimulating productivity. At the same time, this might have implications for employment. Improve the morale of workers: during recessions or periods of industrial unrest and low worker morale, productivity tends to fall. By contrast, if workers are motivated and happy, productivity is likely to be higher. The morale of employees can be affected by numerous variables, including but not only wages, bonuses and other monetary incentives. It is also affected by issues such as state of industrial relations, sense of having a stake in the company and enjoyment of the job. These are specific to each nation and enterprise. But to the extent that morale is affected by other factors such as nature of the labour contracts, hours worked, leave of various sorts, etc. Brexit is unlikely to affect morale positively, since many of those factors are influenced by EU rules and regulations (see below) affecting all 28 countries. Minimise rules and regulations: regulations should not impose excessive costs on enterprises and a balance has to be struck between say being able to get rid of poor or disruptive employees and having lax labour market regulations which exploit employees and results in high turnover and demotivation. EU regulations affect health and safety standards, discrimination at work, hours worked, paternity/maternity periods, minimum breaks, minimum paid holiday periods, etc. Brexit might well be good for British employers if regulations are scrapped and labour market flexibility is increased, but would almost certainly come at the expense of employees. Many other regulations are the solely the purview of the British government. Britain has already spawned zero hour contracts which maximise employer flexibility over almost a million employees. It widely acknowledged that Britain already has one of the most deregulated business environments around – some have argued that there is excessive deregulation, for example in the financial sector. Further deregulation would be possible upon Brexit, but it is questionable whether this would necessarily be desirable. It might undermine labour gains, for example, if rules and regulations concerning discrimination, maximum work hours, health and safety, etc. are undermined. These would reduce job security, employer costs and possibly spur productivity, but much would come at the expense of employees. Maximise capacity utilisation: during economic booms, firms tend to squeeze more output out of existing capacity by encouraging people to work overtime, thus increasing labour productivity. In recessions, they may hold on to workers, rather than releasing them even if they are working below capacity, resulting in labour productivity falls. There is some evidence of “labour hoarding” (firms cutting output but keeping labour in reserve for the recovery), which is part of the reason for the productivity puzzle previously discussed. It seems unlikely that leaving the EU will increase capacity utilisation. Britain´s trade balance is already poor, it exports 44% of its goods and services to the EU and Brexit would mean negotiating new, less favourable terms with the other 27 countries of the EU and 120+ countries that the EU has trade agreements with. Rather than maximising capacity utilisation, it is likely that the reverse will happen upon Brexit (less favourable trade agreements, more risk, higher costs, etc. ), with negative implications for employment, wages and tax revenue. 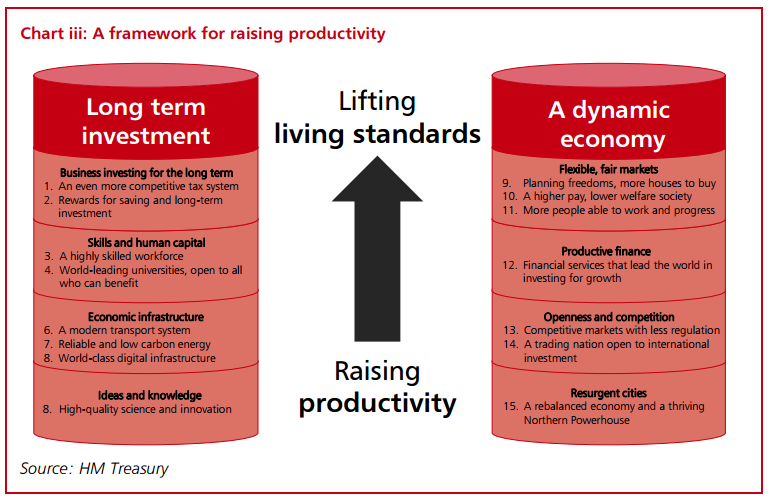 The above does not represent a complete list of possible solutions to the British productivity puzzle. Other factors could be considered, such as seeking to rebalance the economy away from services (about 75% of GDP) towards manufacturing (about 10% of GDP). In 2015, the Government published its productivity plan (Fixing the foundations: Creating a more prosperous nation), covering issues such as improve transport and digital infrastructure, increase investment, enhance workforce skills, build more houses, move people off welfare and into work, encourage exports, rebalance economy away from London, etc. The 15 point plan is illustrated in the Chart below. The productivity plan seems worthwhile implementing but none of it is a quick fix to Britain´s fundamental problem and, on balance, Brexit would not unleash an immediate gain in productivity. To conclude, the cause of austerity, low productivity and stagnating wages in the UK are first and foremost to do with the UK, not the EU or Europe more generally. The number one priority for the country is to raise the productivity levels, regardless of whether Britain remains in the EU or not. If this happens, the wages, the public expenditure and the standards of living take care of themselves. But it is hard to see just how the UK’s productivity puzzle could be eased by Brexit. The Big Brexit Risk? It’s the trade, stupid! The implication of course is that in making the decision to join in the mid-1970s, the British public had somehow misled about the true nature of what was then the European Economic Community (EEC) and is now the European Union (EU). There is also a strong sense that the main reason for joining, trade and commerce, has become less important over time. The simple answer is that all institutions, the EU included, must evolve or become irrelevant. This applies to NATO, the UN and this certainly applies to the EU. Still, there is a sense of Britons having being “sold a pig in a poke”. That somehow they got into something without knowing its true nature. This sense of Britons having got in bed with an EEC trading relationship in 1973 and waking up in 2016 with the EU, with all its imperfections, is important to the outcome of the EU referendum to be held in Britain on the 23 June 2016. Therefore, this post delves into history to examine the debates that were held in Britain in the mid-1970s and to unpack whether joining the EU was just about trade. It also addresses the extent to which trade remains important to any decision about whether to remain in the EU or not. To put it bluntly, the UK joined the European Economic Community (EEC) in 1973 without the British voter being asked. The Labour Party’s general election manifesto of October 1974 committed Labour to allow Britons the opportunity to decide whether Britain should remain in the Common Market on renegotiated terms or leave it entirely. In 1975, the first referendum covering the whole of Britain was held. One could say that 2 years after joining the EEC, the first Brexit referendum took place. The result was clear-cut: 67% of voters supported the campaign to stay in the EEC. If the clear result was meant to put an end the debate about Britain in the EU, it failed. On 23 June 2016, we shall have the second Brexit debate, 43 years after joining the EEC. You can be sure that it will still not end the debate either, regardless of which way the vote goes. A reading of what took place then shows that commerce/trade was a focus of the debate on the pros and cons of remaining in the EEC or, put another way, an evident desire to ensure that Britain´s relative economic decline compared with its EEC neighbours was put to an end. It is not unusual for a particular topic to predominate in elections and referendums. But it would not be correct to suggest that commerce/trade was the only topic of discussion at the time or indeed that the political nature of the EU project was not clear to Britons at the time. Labour figures of the day, such as Simon Jenkins, Michael Foot and Barbara Castle, as well as Enoch Powell on the Conservative side engaged in a debate about the possible effects on British sovereignty, among other issues. The deep fissures that were created in the Conservative Party (and to some degree the Labour Party) were not the result of a simply a debate on the commercial/trade pros and cons of Brexit. At the core of the heated difference of opinion was a possible loss of sovereignty and Britain´s place in the world, be it at the side of our European neighbours or facing towards the Anglophone / Commonwealth world. Today, there is an equally fractious debate where immigration is the leitmotif, connected with a discourse about health tourism, benefit tourism, access to housing, trade prospects and loss of sovereignty to Brussels. The polling in the mid-1970s illustrated voters’ wider concerns, including defence, Britain’s voice, avoiding future wars, etc., though trade/commerce/economy was undoubtedly a major issue. By then, Britain had lost the empire and replaced it with the Commonwealth. The “special relationship” with the USA was stronger, not least because the Cold War was still raging. The Anglosphere relations in general (USA, Australia, New Zealand, Canada, etc.) was in much better shape than today. And yet, in 1973 the British Government under the Conservative Party still decided that it was in UK’s best interests to join the EEC after a decade of persistently trying to join the club and being vetoed by the French under Charles de Gaulle on two separate occasions. This was no spur of the moment decision on the part of the British government, but a clear recognition that it was in the country’s long term interest to do so. On 5 June 1975, a clear majority (over 67% of voters) reinforced the situation by voting to remain in the EEC, rather than going it alone again. Those decisions were made at a time when Britain was much more dominant in global trade, prior to the rise of China and India, and before the dawn of full on globalisation. If it was the right decision then, there is no obvious reason for presuming that Britain would be better off on its own today, when the world is so much more interconnected. This is especially so because regional trade aggregations are increasingly common so as to maximise negotiation power, rather than bilateral arrangements. Examples of such regional trade blocs, apart from the EU itself, include the North American Free Trade Agreement (NAFTA), the Association of Southeast Asian Nations (ASEAN), perhaps soon the Free Trade Area of the Americas (FTAA), etc. I do not subscribe to the view that a future outside the EU will be bleak for Britain. This argument is overdone by the Remain campaign and backfires because Britons do not believe it and resent those seeing to make use of the fear factor to “bounce” them into voting accordingly. Britain has an amazing economy, with dense infrastructure and packed with exceptional human capital. This is a fantastic foundation for future competitiveness. Britain is and will remain a key international economy and will continue to be a wealthy nation with quality of life and standards of living for the foreseeable future, regardless of the Brexit outcome. So the real issue is: will Brexit help or hinder Britain´s future prosperity, since trade will play a key role in its future development. The EU area is the largest trade block by a considerable margin. Although trade patterns do shift over time, the simple fact is that the EU is by far the UK´s largest market: around 44% of exports went to the EU in 2014. British firms sold around £500 billion worth of goods and services to foreign buyers, according to the Office for National Statistics, and almost half (£230 billion) of those earnings came from the EU. The EU´s dominant role in the UK trade position is hardly surprising: our 27 EU trading partners are geographically close, there are no tariffs, close proximity means low transportation cost, etc. To reinforce the point, exports to the faster growing BRICS countries (Brazil, Russia, India, China, and South Africa) accounted for only 10% of exports in 2014 according to Full Fact. Furthermore, Britain´s trade balance is directly connected with the 50 trade agreements which the EU has signed with approximately 120 countries around the world. It is hard to foresee exactly what will happen immediately upon Brexit. What is clear for starters though is that Britain will have to negotiate a new trade deal with the 27 countries of the EU. It is wishful thinking to imagine that the EU will be willing to agree a trade agreement with the UK on a comparable basis to what pertains now. Furthermore, a trade agreement similar to the one that applies to the European Economic Area (EEA) is also extremely unlikely, since this would require Britain to accept the EU’s freedom of movement of people, paying into the EU budget and other concessions which would be impossible to justify. Such concessions would cause the British public (and everyone else) to question why they were asked to vote for Brexit in the first place. Whatever trade agreement is reached with the EU, you can be certain that it will not be as advantageous to Britain as the above two scenarios (EU or EEA). It is also certain that the trade negotiations will take years to reach a conclusion — they always do. Moreover, it is unavoidable that the costs of export will increase for British firms. Several years to negotiation means uncertainty which in turn increases risk and thus raises the costs for British firms. This third scenario cannot possibly be an advantage to the British economy and the same applies to the remainder of the EU: Brexit will be a “lose — lose” scenario. Both the EU and Britain itself will lose in the short-term. The medium to long-term effect could go either way, including a continuation of the “lose — lose” scenario. This cannot possibly be good for the UK’s economy. After all, the Britain´s trade balance has been in deficit more or less permanently since 1990. This will only make things worse since the EU accounts for 44% of the current exports. The Brexiteers are well aware that in the short-term both Britain and the EU will lose out. This is precisely the reason why they have emphasised that it is in the EU´s own interest to negotiate a good deal with Britain. Perhaps, but I would not hold my breath on that account. What sounds too good to be true, usually is. There will be a price to pay for Britain undermining the “European project”. There is such a thing as vindictiveness in human nature and the leaders of the EU nation states are only too human. Whatever they may say in public, the Brexiteers are also aware of this, which is why their pin their main hopes and expectations on other countries, not least the key Anglophone ones, to step into the breech and sign-up bilateral trade agreements with Britain. Being part of the EU does not moderate British influence in the world, it magnifies it. With this, the Brexiteer Emperors (Boris Johnston, Michael Gove, Iain Duncan Smith, Nigel Farage, etc.) were left without any trade clothes. They went ballistic in their attempts to discredit the President´s statement of fact, for that is exactly what it is. Any country would prioritize trade negotiation with the largest trade block in the world over a nation of 65 million people. The Brexiteers´ fragile trade hopes were dashed and predictably there was an unprecedented outpouring of vitriol, verging on racism, against the outgoing President of the USA, the country that Britain stresses it has a long-standing “special relationship” with. But obviously this does not extend to trade matters. Should Brexit occur in June 2016, Britain would need to negotiate some or all of the EU´s 50 trade agreements with 120 countries, not counting the EU and EEA countries, if it expects to continue trading with them on a similar basis to today. Since it is impossible to negotiate all of those trade agreements in parallel, it will take decades to go through the trade negotiations just to end-up with the same situation as is currently the case within the EU. The UK does not have a Department of Trade but you rest assured that not only will one be created immediately upon Brexit, since the current trade competences lie with the EU. The institutional needs would arise in other areas where the EU currently has competences. The future Department of Trade will be large, it will be costly and it will be under tremendous pressure to get bilateral trade agreements done, and sharpish. When pressure exists to get things done quickly, bad deals are struck. Ask any salesman. There is no evidence that either the Anglosphere (USA, India, Australia, Canada, New Zealand, South Africa, etc.) or other major countries such as China, Japan, Brazil, etc. will be willing to negotiate trade deals with Britain as quickly or as favourably as with the EU: the size and potential EU market is so much larger. Britain only constitutes 13% of the EU´s population but will be under pressure from enterprises to negotiate the new trade deals, pronto. Consequently, there is absolutely no reason for the future bilateral trade agreements to be as generous to the UK as to the regional block of EU countries. If we accept the assumption that delays, uncertainty and risk add to the costs to doing business, then British exporting firms will experience higher costs for the years and/or decades that the negotiation process will last in replacing the existing EU trade agreements. The firms´ higher cost base will affect the level of British exports, probably negatively, though the magnitude and duration are not possible to predict without economic modelling. The likely post-Brexit trade scenario does not look rosy for Britain… but the bad news is that it is probably the best case scenario. A worse scenario is that the EU will not rush and/or wish to punish the UK for Brexit. The worst case scenario though is that, in addition, some of the 120+ countries covered by the EU agreements that Britain is currently part of, may close their markets to British enterprises until bilateral trade agreements are negotiated and signed. If this were to happen to any extent, British firms will automatically lose market share. In this scenario, British exporting enterprises would almost certainly suffer a major contraction until they are able to replace the (hopefully) temporarily lost markets. It does not take genius to work out the possible consequences for British firms and thus for the British economy, in terms of the loss in competitiveness, export, employment, wages, tax revenue, public expenditure, etc. There are other interpretations though, such as by those bankrolling the Brexit campaign. Peter Hargreaves has acknowledged the insecurity that would result from Brexit and stressed that “It would be the biggest stimulus to get our butts in gear that we have ever had” … “We will get out there and we will be become incredibly successful because we will be insecure again. And insecurity is fantastic.” Maybe so for a billionaire stockbroker but I am doubtful that the average Briton will see perceive insecurity in quite the same manner. Is the Brexit trade risk worth it? Whether the Brexiteers care to admit it or not, Brexit will not be good for Britain´s trade in the short term. It will be bad for the EU too but it is not as reliant on the UK market as the UK is dependent on its market (44%of exports in 2014). On the other hand, Brexit could have catastrophic economic consequences if key countries refuse to make their markets accessible during the period until bilateral trade agreements are signed, which could last quite a while. Is British Sovereignty undermined by the EU? The single most important criticism made by the Vote Leave campaign in the current European Union (EU) referendum is that Britons should vote for their politicians who in turn should decide their own laws, rather than politicians from other nations. This boils down to a matter of British sovereignty and whether the UK is being drawn into accepting legislation that is emanating from the European Commission (EC) and European Parliament (EP), rather than from the British Parliament. If Britain has become a “captive” state and EU-imposed competences are out of kilter with those of the nation state, in this case the House of Commons and House of Lords, then democracy is undermined. If this simple but powerful argument is correct, then I too would be fearful of the overweening power of “Europe” as opposed to those who are elected by us to represent us. So it is worthwhile examining the potential loss of sovereignty in more detail. The UK to keep out of what has now become the EU from the point when it was established in 1952 (European Coal and Steel Community). Its membership was then vetoed by the French (1963 and 1967) until 1973 when Britain joined the European Economic Community (EEC). It took over a decade of determination on the part of the UK to join the EU. Britain did not join on a whim but on the basis of a hard-nosed calculation of the balance of benefits that the UK would gain from joining. In 1975, a majority (67%) of British voters chose to remain in the EU, following a hard-fought first EU Brexit referendum. Britain joined and chose the remain in the EU fully cognisant that as a result it would be voluntarily and willingly pooling some aspects of UK national sovereignty with what was then the EEC. This was nothing new or unusual: all nations do this to some degree where they see the benefits of doing something which is cannot be achieved on their own. Classic examples, apart from joining the EU, are the United Nations (UN), the World Trade Organisation (WTO), North Atlantic Treaty Organisation (NATO), etc. These agreements amplify the UK’s power and influence at the global level. There is a pervasive viewpoint in Britain that it thought it was joining a trade agreement, rather than a political one. All commentators agree that the EU has always been first and foremost about avoiding future wars in Europe, something which the EU has done very successfully. So much so that it, rightly, received the Nobel Peace Prize in 2012 for six decades of advancement of peace, reconciliation, democracy and human rights in Europe. There is no diagreement about the fact that it was always a political project which went beyond trade, indeed trade was not even a reason for the EU receiving the prize. If the politicians in the mid-1970s chose to highlight the trade angle to the nation during the lead-up to the EU Referendum, it was their choice (just as immigration is the topic of choice this time around). But this underestimates the broad and intense nature of the debate that took place in the mid-1970s. It was never just about trade so Britons were not sold a pig in a poke by their own politicians. Also, it is frequently claimed that too much of the legislation comes from the EU. No one has been able to pin this down precisely but estimates vary from 7-70%. The House of Commons Library has undertaken a comprehensive analysis how the extent of ‘EU influence’ in UK laws and concluded that: “it is possible to justify any measure between 15% and 50% or thereabouts”, depending on the approach. It noted that 15-17% of UK law is derived from EU membership, but about 50% of UK legislation with “significant economic impact” originates from the EU. It is up to each one to decide what is too much. But perhaps it is more enlightening not just to ask how much originates from the EU but to assess the degree to which such law is useful or not (see the Balance of Competences review below). Another point to note is that all the EU directives, regulations, treaties, etc, take years to develop, which allow all nation states, Members of European Parliament and stakeholders to engage with the process of developing new laws and regulations within the competence of the EU. Each national parliament decides whether to accept or not and in recent times, national referendums have scuppered draft EU Treaties. The days of a “single speed” EU are long gone and nation states can opt out if they so desire and Britain regularly chooses this option. In joining the 8 other countries, now 28 following further enlargement, the UK is closely involved in the process of making the EU legislation. It is not simply a matter of fighting for the national interest, something which Britain as one of the big beasts of the EU is able to do. Compromise was and remains the name of the EU game. However, whenever push comes to shove and Britain bangs on the EU desk, it has got what it wants. This includes Margaret Thatcher’s rebate, the various opt outs such as from Schengen and now the EU special accommodation of Britain’s needs in advance of the EU referendum on the 23 June 2016 (see below). It may have chosen to pool its sovereignty in the mid-1970s but the fact is that Britain can opt out of the EU at any point of its own choosing. The British government does not even need to hold a national referendum to leave. If the British government decided upon Brexit tomorrow, it could exit the EU simply by dissolving the European Communities Act of 1972. Permission would not be required from either voters or the EU. On the basis of the preceding points, it is evident that the UK is a sovereign country that chooses to engage with the EU, that it can opt out of EU treaties and other legal instruments that it does not agreed with and that it can regain control of all the elements of its sovereignty that it currently chooses to pool authority with the EU in order to achieve goals that it would otherwise not be able to do on its own. This is the very essence of sovereignty. If Britain remains a sovereign country and is able to abolish the European Communities Act whenever it likes, which is after all the whole point of the forthcoming EU Referendum, what are the competences that it has chosen to pool with the EU and do these make sense? At the end of the day, what really matters is not whether laws and regulations originate from the House of Commons or the EU but whether such laws contribute to our economic, social and environmental well-being or not. The public concern about a potential or actual loss of national sovereignty compared with a gain of “unelected” and “Eurocratic” powers is what led directly to the Review of the Balance of Competences between the UK and the EU which was initiated by the UK government in 2012 and completed in 2014. EU has exclusive competence: only the EU can act such as customs, competition, international agreements, etc. Competences are shared between the EU and the member states: the member states can act only if the EU has chosen not to such as consumer protection, environment, transport, etc. EU has competence to support, coordinate or supplement the actions of the member states: EU may not adopt legally binding acts that require the member states to harmonise their laws and regulations such as health, economy, employment, social policy, etc. These are quibbles with what was a thorough, transparent and comprehensive process carried out by the British public authorities, experts and stakeholders. No one questions the overall conclusion of the balance of completeness review, which is that there is nothing fundamentally wrong with the balance of EU competences in the UK. Had this not been the case, you can be sure that the Leave Campaign would be using this treasure trove of information. What was prioritised by the UK for EU reform? Now that the Government, the civil service and a multiplicity of stakeholders across all 32 reviews have had their say and overwhelmingly agreed that the balance of competences is broadly appropriate, what did the Government chosen to push for reform in the EU? Sovereignty: allow the UK to opt out from the EU’s ambition to forge an “ever closer union” of the peoples of Europe so it will not be drawn into further political integration and giving national parliaments greater power to block EU legislation. What has Britain got from the EU? Eurozone vs rest: the top item was safeguards to protect countries outside the eurozone against regulation made by those inside. The UK got its wish: any non-Euro country will be able to force a debate among EU leaders about ‘problem’ eurozone laws. No country has a veto but can discuss, amend or delay Eurozone laws. Given that the EU involves 28 countries with diverse needs and priorities, the UK did not receive as bad a deal as many Britons and segments of the media maintain. Many EU member states were not exactly ecstatic about what they perceive as yet another example of Britain threatening to throw its referendum dolls out of the EU pram if its national interests are not accepted. When push comes to shove, each nation must do what it has to, while still rubbing along with the others around the negotiation table. British sovereignty: our way or the Highway? The UK remains a sovereign state. It can withdraw from the EU at any point that Parliament chooses to. It does not need a referendum or approval from the EU. This is the essence of sovereignty and Britain (and all other 27 EU nation states) retains it. Britain is involved in all treaties, directives and regulations. It can influence them and it can choose to accept them or opt out of them, a right that it regularly exercises, as do other nations. An estimated 15-17% of UK laws originate from the EU and an estimated 50% of its important economic laws originated from the EU. But the issue is not what percentage originates from the EU, a process that Britain is closely involved in. The real issue is whether such legislation is valuable or not: perhaps this is a point recognised by the Vote Leave campaign, which is why they have been strangely quiet on this issue. The UK has gone through the most comprehensive assessment of the competencies of the EU ever conducted involving 32 detailed reviews, extensive consultations with British stakeholders, including civil servants, professionals and other experts. The conclusion was that the balance of competences between the UK and the EU (arising from the EU legislation) is appropriate. On the basis of the evidence, the British government has sought a new EU deal for Britain, prior to the referendum, focusing on: Eurozone, competitiveness, immigration and sovereignty and the EU has agreed to various changes. These do not amount to a fundamental change in the relationship with the EU but are a considered response to Britain´s self-defined priorities for reform. Whatever the EU agrees to must be acceptable for all 28 nations and it was never feasible to find a compromise that could satisfy the Brexiteers. Is the EU sovereign over the UK Parliament: EU legislation affects 15-17% of UK law and up to 50% of economic legislation according to the estimates that have been made. Is British sovereignty compromised by EU competences: Britain is a key part of the process of making laws and regulations in the EU. Britain has secured-opt outs from EU treaties, directives, etc. The British government chooses to pool British sovereignty with 27 other countries in order to achieve what it cannot do on its own such as legislation affecting the environment, countering terrorims and the common market. Should I vote to leave the EU because of lack of sovereignty / balance of EU/UK competences: Britain can choose to leave the EU whenever it chooses to. There is not need to hold a referendum. It has the ultimate decision-making power. The unprecedented EU review concluded that there is nothing fundamentally wrong with the balance of EU competences in the UK. The EU has responded to the British priorities for EU reform. As one of 28 countries, Britain cannot always get everything that it wants. Compromise is the essence of the EU game.